April 23rd is believed to be the date on which Shakespeare was born in 1564 as well as the date on which he is believed to have died in 1616. 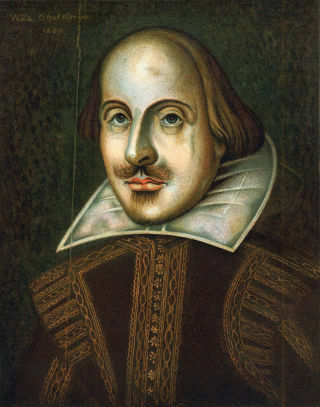 On the occasion of the four-hundredth anniversary of William Shakespeare’s death, New Yorker writers share their experiences of reading, watching, studying, performing, memorizing, and falling in love with the work of the Bard. Here is the first of several reflections shared by New Yorker writers. One of my most memorable encounters with Shakespeare took place in the Taurus Mountains, in 2012, where I was reporting a story about the Arslanköy Women’s Theatre Group, a rural Turkish theatre company, founded in 2000 by Ümmiye Koçak, a forty-four-year-old farm worker with a primary-school education. Koçak wrote most of the group’s plays herself—they were about village life—but she was also really proud of having once played the title role in her own adaptation of Hamlet, titled “Hamit,” in 2009. Hugely popular in the village of Arslanköy, Hamit went on to tour several Turkish cities. They staged the graveyard scene using pumpkins for skulls. The women still talked about Hamlet all the time—about what Hamlet’s problem had been. Anyway, one night, after I had been hanging out with Koçak and the village women, who were shooting their first feature-length movie (based on a script by Koçak), I drove back to the hotel where I was staying, in the nearby city of Mersin. It was a weirdly fancy hotel, with a glass globe on the ceiling that could light up in all different colors—you controlled it with a remote control. It could change to something like thirty-six different colors, and there was a strobe function. I remember lying on the bed under pulsing disco lights, eating a fruit basket that someone had sent to my room by mistake, and buying Hamlet on my Kindle, just to see what in there had been so captivating to the village women. To be honest, a tiny part of me had worried that they were only (“only”) excited about “Hamlet” because it was famous, and Western, and the very opposite of what people in their village thought that they, Turkish peasant women, were capable of. But when I reread Hamlet after spending a few days with the women, and read some of the other plays that Koçak had written, it was immediately clear what had resonated for them. Koçak’s own plays are on the melodramatic side; they’re about the terrible plights of village women, about kidnappings and forced marriages and repeated pregnancies and bad harvests, about hunger and abusive husbands and suicide, and about the village school as somewhere that can protect you or maybe save you—to an extent. When I read Hamlet that night, it seemed to me to be all about the question of whether it’s worth it to be alive, when life means a tangled, intractable, inherited morass of painful family stories and family responsibilities, about whether education can really pull you out or whether you have to leave the university and go back to Elsinore. What struck me most of all was a small thing: the number of metaphors related to farming and the agricultural life style. Carrying firewood, in particular, is a big theme in Koçak’s work—the women carry the wood, on their backs, in the snow. And then there it was, in “To be, or not to be”: “Who would fardels bear, to grunt and sweat under a weary life?” And I thought, Well of course. Life for the village women is a process of wringing a living out of the earth—that’s a metaphor for me, today, with my fruit basket, but for hundreds of years it was real, for everyone—that’s what life was. Sometimes I get annoyed when people talk about the universality of great literary geniuses, for reasons I won’t go into, and yet there truly are some works of literature that have come down to us, works that tell rich and highly specific stories, in ways that somehow, magically, resonate in equally specific ways with people from the most different circumstances. If Shakespeare could have seen the Arslanköy production of Hamit—and who knows? Maybe he did, out there in the “undiscovered country,” among the pumpkins and the skulls—he would have understood it, and felt proud. Elif Batuman has been a staff writer at The New Yorker since 2010. Her first book, The Possessed: Adventures with Russian Books and the People Who Read Them, was a finalist for the National Book Critics Circle Award. Her stories have been anthologized in the 2014 Best American Travel Writing and the 2010 Best American Essays collections. She is the recipient of a Whiting Writers’ Award, a Rona Jaffe Foundation Writers’ Award, and a Paris Review Terry Southern Prize for Humor. Batuman holds a doctoral degree in comparative literature from Stanford University. From 2010 to 2013, she was writer-in-residence at Koç University, in Istanbul. She lives in New York.